Road crashes can happen to you and to the ones you love. There are solutions to bring to this global crisis, and everyone can play a role. We are all involved in some way in road transport. Everybody is at risk from the energy involved – and it could be you next. Many road safety initiatives are being implemented in the areas of engineering, law enforcement, school education, public information, responding to emergency situations and building up trauma care systems. A way to minimize the risk can start with you taking responsibility for protecting yourself and others. By following the ten commitments in this post, your chance of survival throughout your life will increase significantly. I commit to using a seatbelt "A seatbelt reduces the risk of getting killed in case of a crash by half." • Your own body energy in a moving car is usually enough to kill yourself and everyone else in the car. At 70 km/h your car has about the same energy as 40 flying rifle bullets, and your own body about 4 rifle bullets. If you do not use a belt, your body becomes a weapon! • A seatbelt is one of the most effective road safety measures. • A seatbelt prevents you from being thrown into the windshield. • Passengers with no seatbelt count for most occupant fatalities. • In a road crash, seat belts have been proven to reduce the risk of death by half for front seat - by 25 percent for rear seat passengers. • A seat belt reduces head injuries by 60 percent to vehicle occupants. • In a crash without a seatbelt where you are thrown out of the car, you have a 75 percent chance of being killed. I commit to wearing a helmet on a motorcycle "A helmet can increase the chance of my survival in a collision by 40 percent" • Your own body energy while riding a motorcycle is enough to split your head open in a crash. • Helmet wearing for both rider and passenger will increase the chance of survival by up to 40 percent depending on the speed of the motorcycle, and quality of the helmet. • Tens of thousands of people around the world die in motorcycle collisions every year. • Head and neck injuries are the most common causes of death and severe injury among motorcyclists and cyclists. • Helmets are effective in reducing the likelihood of head injuries, as well as their severity. • For optimal protection, the helmet needs to be fitted properly. • Wearing a crash helmet by motorcyclists reduces the risk of brain damage by 70 percent. I commit to driving at a safe speed and distance suitable for the conditions "I don't have time to stop if a pedestrian crosses the road in front of me." • Your vehicle has more than enough energy to kill other people. • The energy of your vehicle is related to the square of the speed, and even at very low speeds is enough to kill a human being. • The faster you drive the harder you hit. A family car at 50 km/h has about the same energy as 20 flying rifle bullets, at 70 km/h it is 40 bullets. • The higher the speed - and therefore energy - the more severe the crash. • At high speeds, one fails to evaluate oncoming risks in good time, and it takes longer to react and longer to stop. • Most road users are killed if hit by a car traveling 50 km/h. • Speed is estimated to be the main contributory factor in about half of all road crashes. I commit to not drive under the influence of alcohol or drugs "Driving under the influence affects my performance and I can harm myself or other people severely." • Because I am in charge of a machine with the energy to kill myself and others. I would not want to be in an air jet with a pilot who drinks on duty. Why would I do it myself? • Drivers who have been drinking have a much higher risk of involvement in crashes than those with no alcohol in their blood. • Alcohol affects your brain and driving skills: - Poor judgment of the situation and the risks. - Lower concentration. - Poor assessment of distances. - Reduced field of vision. - Reduced coordination and reflexes. - Longer reaction times. • At a blood alcohol concentration (BAC) of .05 (limit in many countries), the risk of being involved in a road crash is about double compared with a BAC of zero and the risk increases rapidly with increasing alcohol. • The only safe option is not to drink alcohol if you plan to drive and never offer an alcoholic drink to someone else who is intending to drive. • Drugs also create a false sense of alertness and confidence reducing the ability to make correct decisions. Drugs seriously affect driving. ☛Cold showers, exercise, black coffee, fresh air, or vomiting does not help reduce the alcohol in your blood. ☛Only time reduces the level of alcohol - but even the following morning the alcohol level can be too high for safe driving. ☛Becoming tired when driving can be as dangerous as being affected by alcohol or drugs. I commit to not use a mobile phone when driving "It only takes one second of distraction to create a dangerous situation and someone can die." • Using a hand-held or hands-free mobile phone while driving may increase your chance of a crash by as much as four times. • Riskier decision making. Talking on the phone is not the same as talking to a passenger. The person on the other end cannot see your environment and will be trying hard to get your attention at exactly the time you need it to drive. • Talking on the phone leads to less controlled braking and moving out of the lane. • Talking takes away your concentration on the road which affects attention and judgment. The more you talk the less you see. • Slower reactions. Reaction times for drivers using a phone are 30 percent worse than those who do not. • All phone calls distract from driving. The more distraction while driving the more dangerous. I commit to being visible as a pedestrian or cyclist "I want to be seen by the drivers so I don't get hit!" • Pedestrians and cyclists are extremely vulnerable. Nearly every vehicle around them has enough energy to kill them. • Bright or reflective clothing helps to be seen on the road at night. If drivers can see you, they can more easily avoid you. • Pedestrians and cyclists are small and will not be easily seen by drivers. • Pedestrians and cyclists should not expect that the traffic can stop quickly. ☛Use safe crossings and footpaths. ☛Always wait for the green light to cross a road. ☛Do not run across roads à Use the side of the road with street lights. ☛Do not cross the road from between parked cars as drivers may not see you. ☛Try not to cross near trees or bushes because drivers may not see you. ☛Avoid crossing near a bend or crest in the road. Give yourself a good chance to see vehicles coming from both directions. ☛Avoid crossing roads near roundabouts, unless a pedestrian crossing is provided. If there is no pedestrian crossing, pedestrians must give way to vehicles. ☛When it is dark, cross the road near street lights. ☛Children and young people must learn the rules and know how to behave in traffic. I commit to know and respect the highway code "Highway code is there to protect myself and others in what is a dangerous activity." • The highway code and traffic law are there to protect individuals and society. 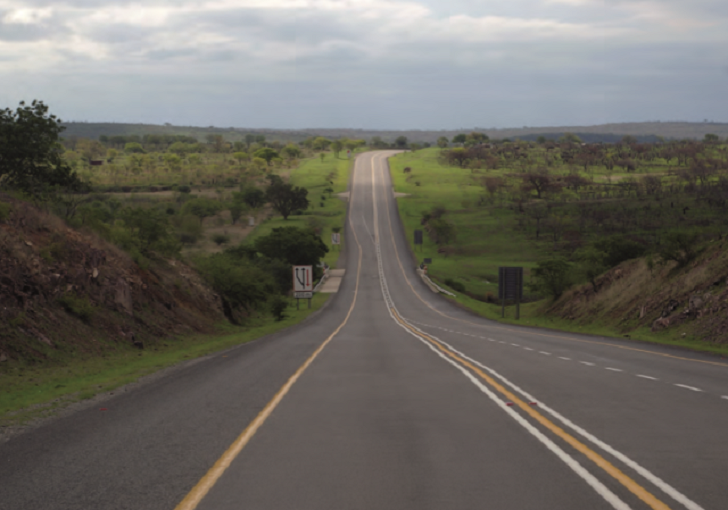 • The purpose of the highway code is to provide factual information and guidance to road users. • Compliance will reduce the frequency and severity of road crashes. • If the public understands it is for their own interest, it is easier to follow the rules. ☛Even when they are not enforced - follow the traffic rules. I commit to maintaining my vehicle in a good condition "The safer the vehicle the safer is everyone around me and myself too!" • It is important to keep the vehicle fit for driving and safety. • Road vehicle standards are set to ensure that vehicles meet acceptable safety and environmental standards. • Undergo regular vehicle testing and inspection at an authorized garage. • Avoid overloading in volume and weight. • A spare tire and emergency equipment including first aid kit and a set of safety triangles can save time and lives. ☛Before driving your vehicle, check its condition, including brakes, steering, horn, lights, battery and windscreen wipers. I commit to being licensed and trained for the vehicle I drive "I am driving a vehicle with the energy to kill, and I must be responsible for it." • Good and safe driving takes good driver training. • In order to drive, a license is needed that shows you are competent to do it. • Driving different vehicles takes different driving skills and licenses. ☛Driver standards apply to both private drivers and commercial operators. ☛Normally these requirements are met by undertaking a practical and a theoretical test. ☛Your driving license needs to be valid. ☛International driver licenses can be obtained for traveling abroad. I commit to knowing how to react in case of a crash* "Imagine a victim with severe bleeding following a road accident. If nobody applies pressure to the wound to stop the bleeding, even the most sophisticated or the quickest emergency service in the world will only arrive on the scene to certify death" • Anyone can save a life! The application of first aid and alerting emergency services can mean the difference between life and death in a road crash. • 57 percent of deaths from traffic collisions occur in the first few minutes of a crash. • On average, it takes less than four minutes for a blocked airway to be fatal. • The number of people who die as a result of road crash would be considerably reduced if a witness was able to act effectively before the arrival of the emergency services. • When all drivers and more people learn what to do to help road crash victims, more lives will be saved. • Mobilizing emergency services can make the difference between life and death for people trapped in vehicles or needing emergency surgery. Assist in spreading the message! Spreading the road safety messages and the commitments in your own environment help save lives. By increasing awareness and skills more people will survive and your local community will be safer. Set a good example yourself. Introduce the commitments – into your own life – in the work environment – in your local community – around schools (safe crossings) and in class – sports clubs – local markets and shopping areas. Following these commitments, doing volunteer work and assisting to ensure better road safety in your organization and in your local community will save lives!